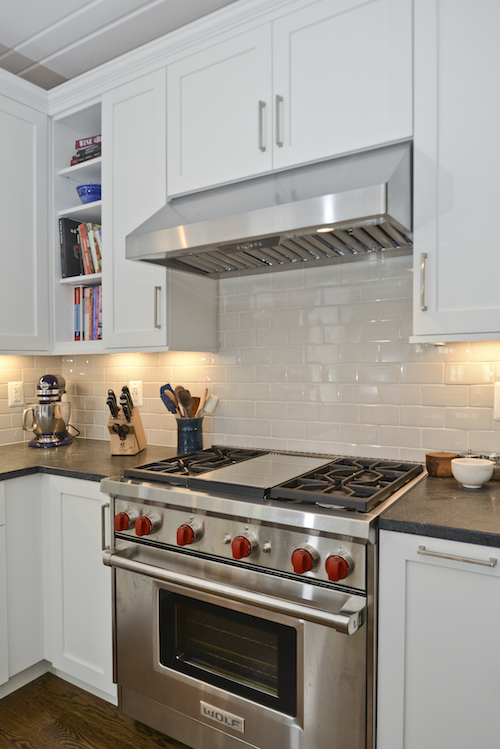 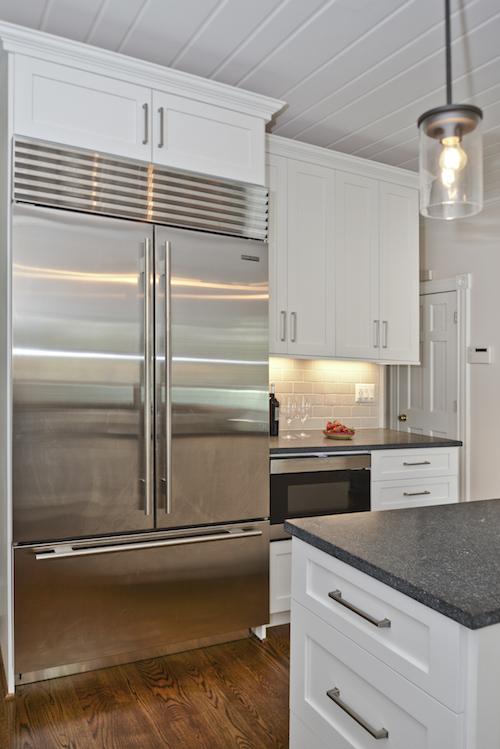 This kitchen design project was for an original farmhouse located in Arlington, Virginia with a very limited footprint. 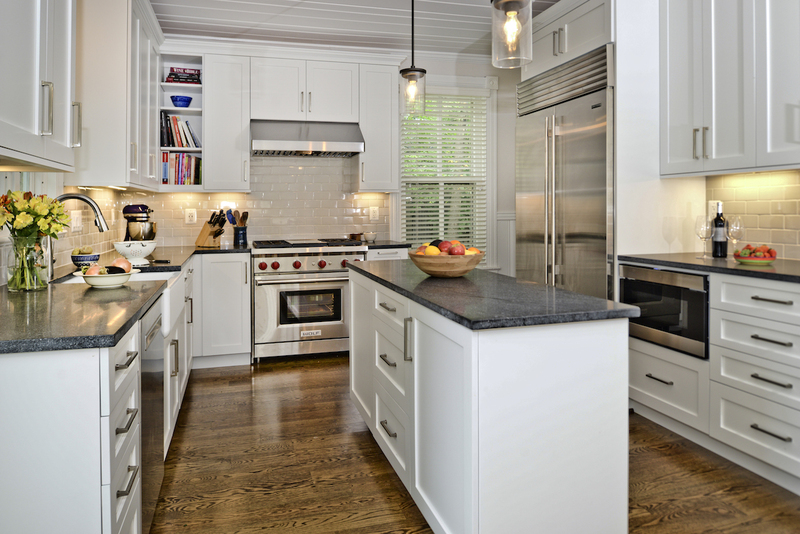 The homeowners wanted a kitchen island, but the overall width of their kitchen limited their options to include the kitchen island seating which the homeowners wanted. 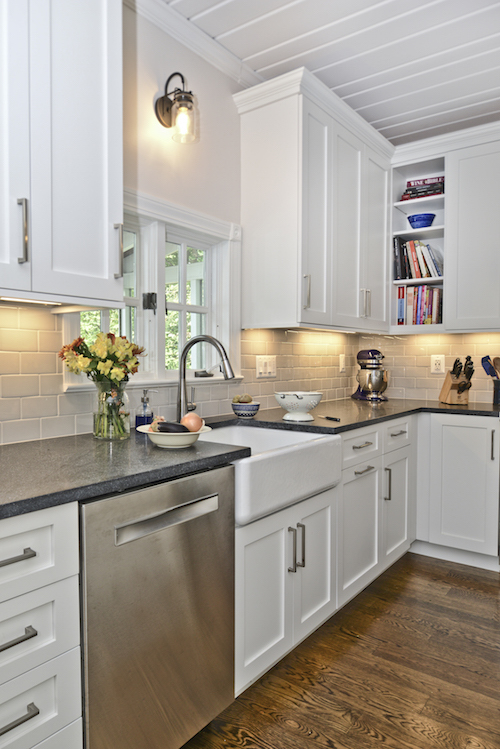 We agreed that the best option was a very narrow skinny island that would fulfill additional storage needs. 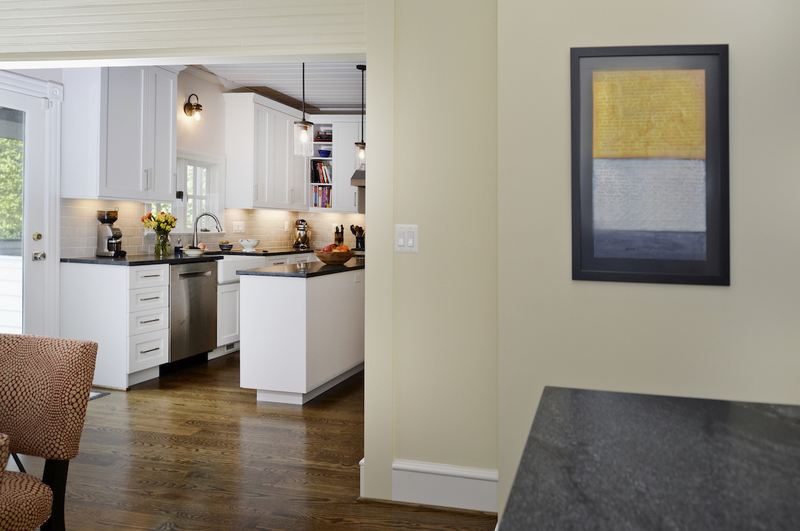 The outcome worked…the kitchen matches the style of the house yet offers all the current updates without contradiction.